While creating your Catalog requires a bit of time to set up, the time you and your employees save will help you take full advantage of your smart terminal’s potential. Start by naming your Catalog. NOTE: There can only be one catalog assigned to the Register app at one time. To choose between different catalogs, you must reassign the new catalog to the Terminal in the Catalog app. 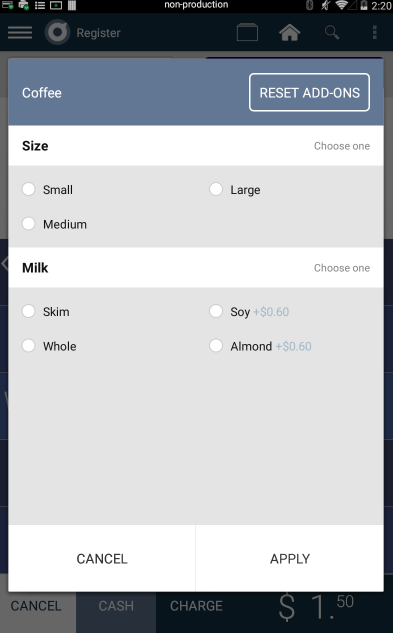 Group your products by category for quick reference when assisting customers and helpful reporting. Some common categories include Sandwiches, Cookies, Drinks, etc. You can also update or delete a category as your business changes. 3. Update the short code, name, or icon, and press Done to return to the previous screnn. To delete, click on the REMOVE button on the bottom left hand side. 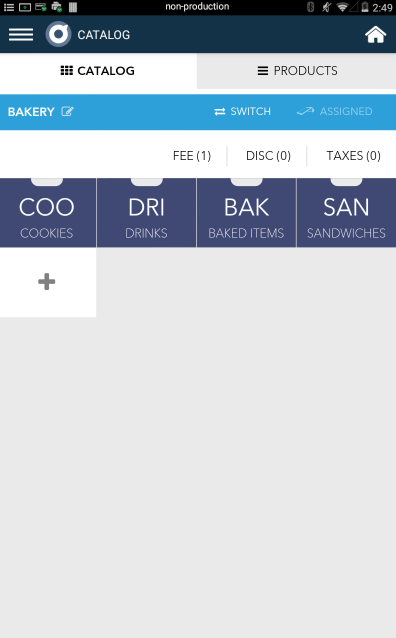 Fees, discounts, and taxes can be added to a Catalog for quick access when building an order on the Register App. These can be applied to a specific product (item-level) or to the entire order. These may be configured into a fixed amount or a percentage. Products on the terminal are intended to reflect the items you sell in your store. You can simply add a name and price and your product is all set to go. Additionally, you can add SKUs for inventory management, edit the hot key color, and add modifiers. Modifiers are options that add another level of specifications to a product. For example, under the product “coffee” there could be the modifier “size”. 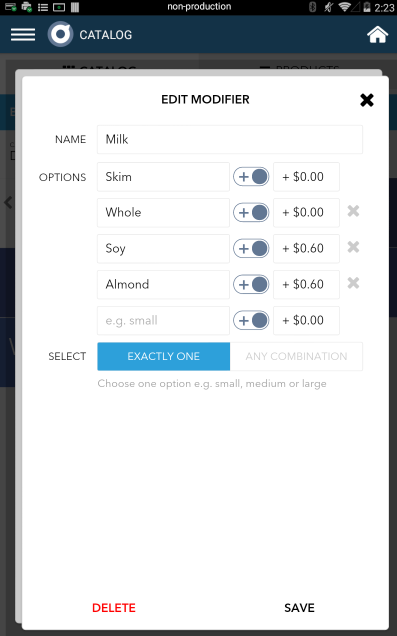 Pricing for specific modifiers can be added as well. To use a Catalog as a default for Register app you must assign the Catalog to your terminal. 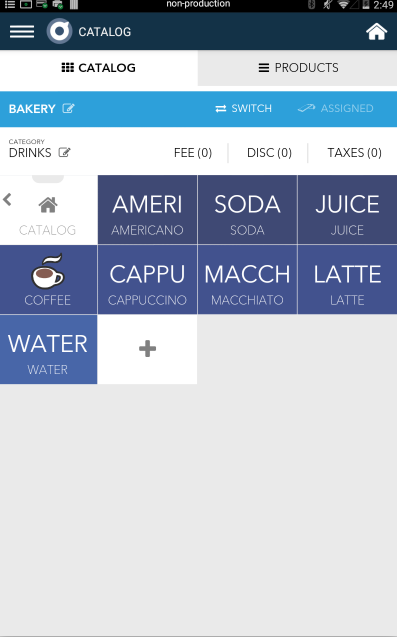 On Device: In the Catalog app, tap Switch and select the Catalog that you'd like displayed. Then, once displayed, the icon "Assign" will be next to the Switch button. Tap Assign.